Last year the US Department of Transportation launched the 'Smart City Challenge', almost eighty cities applied, and whilst Austin was ultimately unsuccessful, with Ohio winning the coveted award, it has used that application process as a springboard to transform its city. The America city has established a nonprofit consortium entitled Austin City-UP, which has been specifically designed to facilitate and implement smart city initiatives. Despite, only being formed twelve months ago, the consortium has already brokered agreements with over 70 members, which included companies such as Amazon, Accenture, AT&T, Cisco, Dell, Intel and IBM to name a few. The whole DNA of 'smart city' movement is to improve collaboration between technology firms and organizations with the shared goal and vision of improving the quality of life for residents in a city. 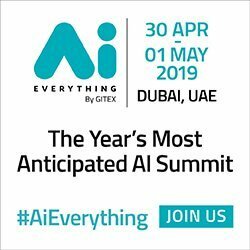 Technology that covers a broad range of innovative solutions, including internet-of-things smart infrastructure such as sensors and communication systems, smart kiosks, smart data with analytics and artificial intelligence capabilities, mobile app technology and autonomous and connected vehicles. One example of a successful smart city initiative which has been deployed in Austin - is Capital Metro's new transit-on-demand service which is accessed through its new 'pickup app'. It utilizes technology from transit-on-demand firm VIA Transportation. In addition to this, Capital Metro is preparing to update its Cap-Metro app that will support future multimodal planning. Riders will see options that combine Capital Metro bus and rail services with bike-share, car-share and ride-share transportation companies. Austin is also looking to improve connectivity all around the city through the use of wireless technology. Improved connectivity is a necessity in order to support transportation services such as Austin B-cycle or ride-hailing services like RideAustin or Lyft. Internet of things company Connecthings, which already provides similar services in Europe and South America, would operate the system. Austin-based beacons manufacturer Blue Cats is in on the project. Both of those companies are members of Austin CityUP. Cities and other public sector organizations have identified the huge opportunities presented by executing smart city initiatives. Cities need to reinvent themselves, as the best companies such as Apple, Microsoft and Amazon have continuously done. There are existing opportunities available and new exciting ones on the horizon. Those cities that have the vision to reinvent themselves will be positioned to become the smartest cities, and Austin is leading the way.